The problem with the #WheresRey campaign is that it was exceptionally misleading. I read that Rey was going to be more heavily included with series two of the Star Wars: The Force Awakens toys and action figures. In those articles, the writers stated incorrectly that this was the result of the #WheresRey protest and that Hasbro is “finally” making Rey toys. This isn’t in any way, shape, or form, true. The fact is: Series 1 included Rey. Anyone that tells you otherwise is frustrated that they didn’t find her at their local toy stores or toy sections before someone else did. As a slight aside, I’ve been doing some thinking about the situation with the Millennium Falcon playset not including Rey. Oftentimes, toy companies will not include the same characters in multiple vehicle sets. They released Rey’s Speeder, and included her with that vehicle. If someone were to get both Rey’s Speeder and the Millennium Falcon, Hasbro can effectively save money by including Rey in one and not the other. That’s something that I remember happening a lot when I was a kid. I can’t recall any specific examples, but I do remember that happening. Plus, the fact that the vehicles come with action figures at all is something to be thankful for. 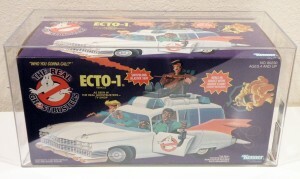 The Ecto-1 from The Real Ghostbusters didn’t come with any. “The Real Ghostbusters Hero Action Figures Sold Separately” is printed right on the box. So is it a problem that the Millennium Falcon playset comes with Finn and not Rey? No.. it also doesn’t come with Han Solo, and the ship belongs to him. Plus, Rey comes with her speeder, and Finn doesn’t come with a ship of his own. On another note, many of the series two Rey action figures feature her carrying a weapon that we didn’t know she’d be carrying by the end of the movie. Much of the art features Finn carrying that weapon, including the poster! Makes sense that they’d hold those toys back. Now, onto the very reason that I’m writing this article: Sabine Wren. She’s a mandalorian from Star Wars Rebels with a really cool costume. And yet, there have only been two toys made with Sabine included. This is supposed to retail for $9.99. I went to a dozen stores over many months and didn’t see her once, or I’d own it. The only places I ever saw this action figure set were the comic cons that I went to. The lowest price was at least double the MSRP. It would have been one thing if the action figure set was out of print at the time, and I didn’t have a chance of finding it, but at the time, it was supposed to be easy to find. My guess is that collectors snatched every one of her up as much as they could. I did find Hera on shelves a number of times, but never Sabine. 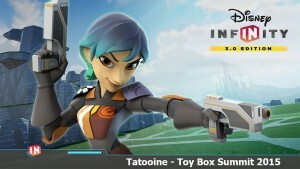 The only Sabine I do own is the Disney Infinity version. StarWars.com took a vote late last year and Sabine came in second, so they’re going to make a Black Series action figure of Sabine Wren, which I hope to be able to find. Now, here’s the real problem: they’ve released more Star Wars Rebels action figures alongside The Force Awakens action figures. They even come in the Force Awakens branded card-backs. But there is no Sabine. Seriously. No Sabine. I’ve been looking for a Sabine for what seems like an eternity at this point. Where’s Sabine, Hasbro? Rey has been available in stores since September 4th if you are lucky enough to run into her (which I have been a lot of times). Sabine? Not at all.